- Spiral angle could be adjusted automatically. - With lubrication system, could lubricate automatically. - Tension controlled by air pressure, auto brake. - With air and hydraulic pressure system, save power. 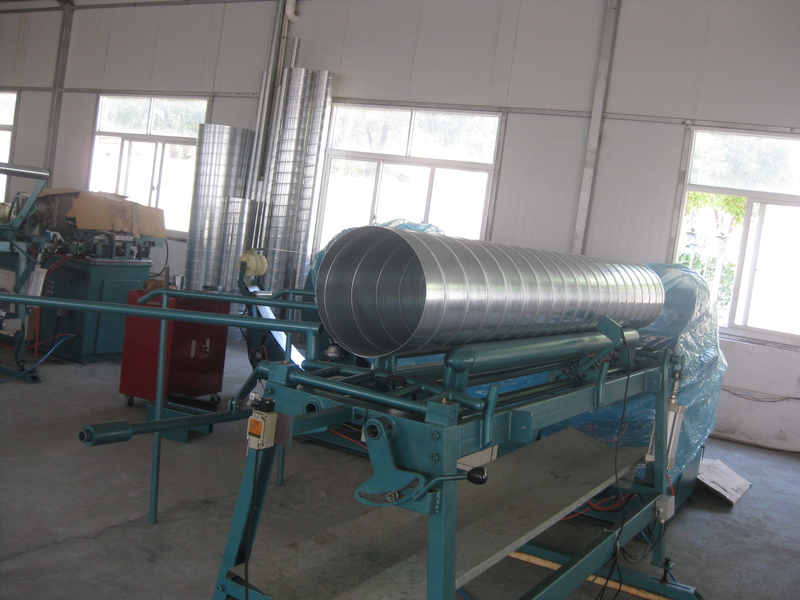 - With auto counting system and photoelectric tracking, pipe quantity could be counted. - Adopt European advantage technical, speed can reach 80m/min. - With ideal flying slitter, no noise and hot sparks, pipe end smooth and neat. - Combination of both Western & Asian Technologies on complete production and control. - Complete with all safety features, auto alarm and urgent stop. 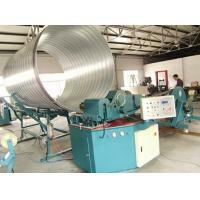 This spiral machine is used for making Aluminum , Galvanized steel, Stainless steel spiral duct. 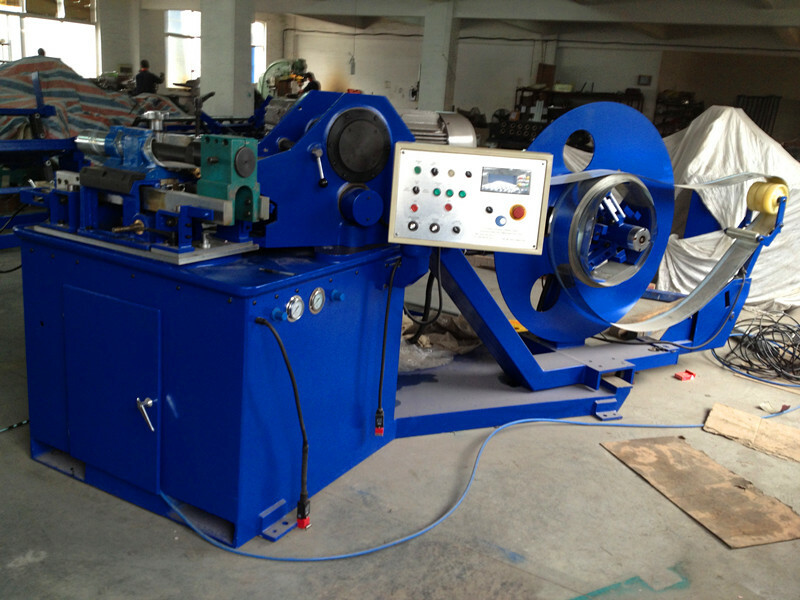 This machine is widely used in HAVC system , air system, and industrial fields, as well as transportation field. 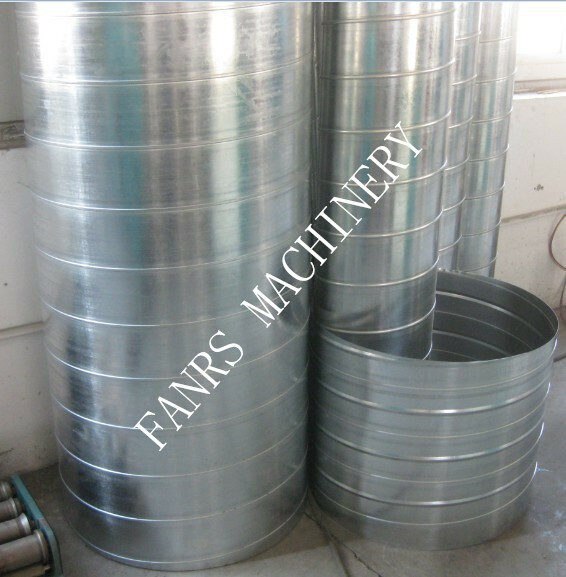 A: We have ISO ,SGS and CE certificate. 6. Q: What’s the main market of your company? 7. Q: Where is your factory located? 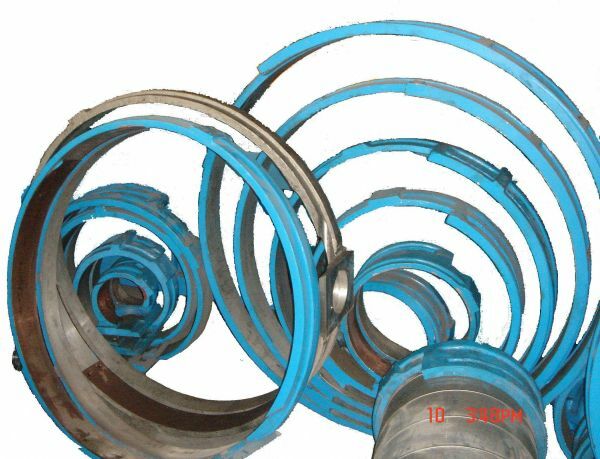 A: Our factory is located in Zhangjiagang City, Jiangsu Province, China, about 2 hours to Shanghai by car. 8. Q: Can we visit your machine operating in your factory? 9. Q: How can we visit there? A: We offer transportation service when you arrive in Shanghai or Jiangsu Province, China.